Tonto Dike Set To Represent Nigeria In Big Brother Africa0 - Glitz Plus Ent. 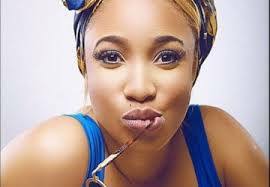 Big Brother Africa Season 8 tagged Stargames is set to feature Nigeria movie idol, Tonto Dikeh. The actress who has since been receiving congratulatory messages from her friends is one of the people to watch out for this new season. Remember, the last year edition featured the deceased entertainer, Goldie Susan Harvey, Tonto who is already controversially inclined is representing her country Nigeria. Now, what is yet to be cleared is her declaration the other day about her not being a Nigeria, is she still maintaining this stand? Let’s all wish her luck, for the sake of the country.